The goal is to use mechanical technology to give a player super powers which they must learn to control as they bound through a massive obstacle course in three-dimensional space. 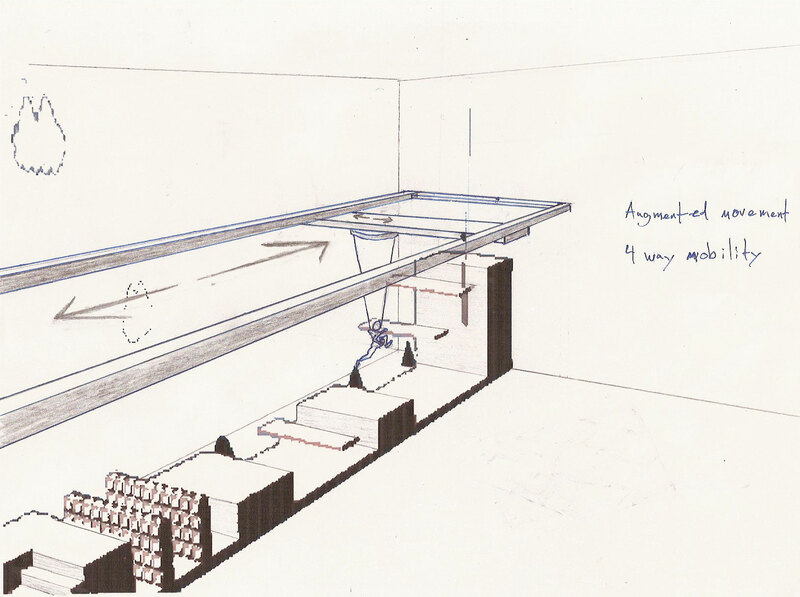 Unlike a passive 'amusement' park ride, Physically Augmented Reality puts a player in direct control of their movement. 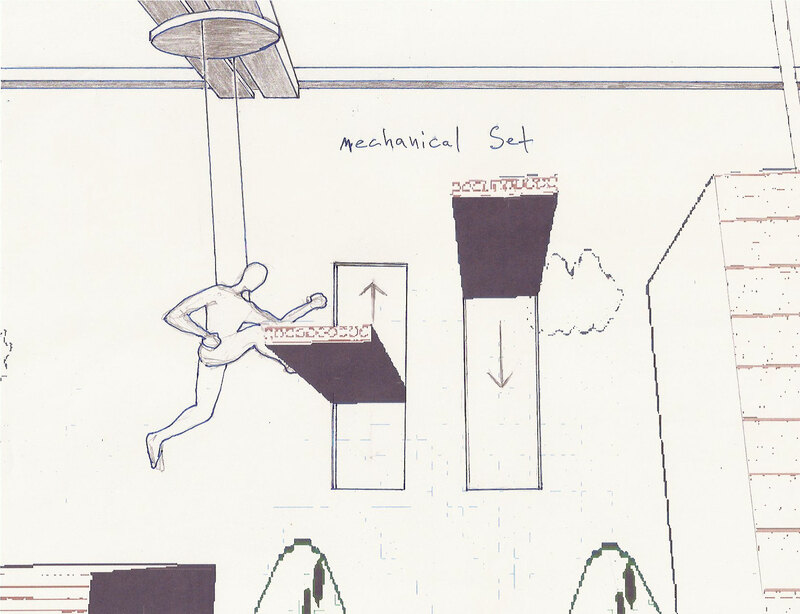 The three important elements are the course itself, an overhead track, and a method of suspending the player. 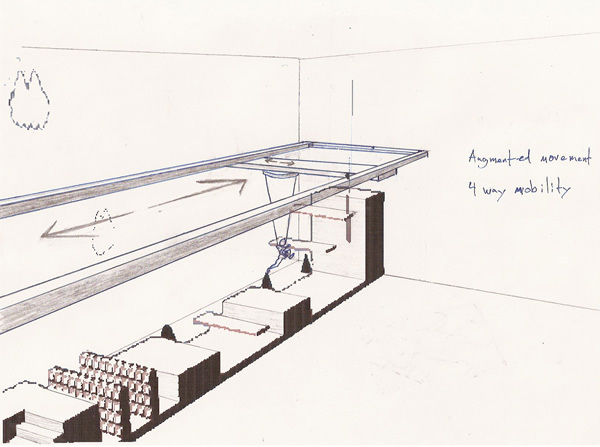 The ideal system would be a 2-axis motorized track in the ceiling paired with a haptic winch. This winch would dynamically amplify a player's actions while keeping them safe. Please see the Technology section for more detail.